Ok, that's not helpful. 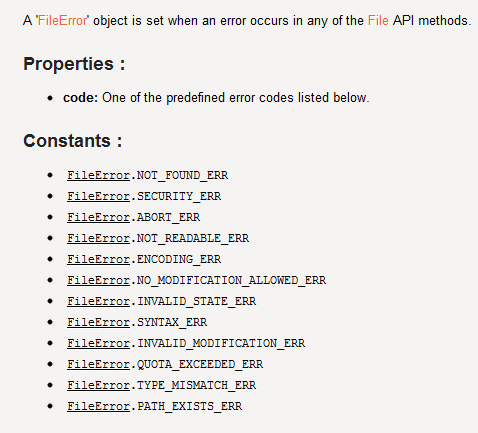 You can clearly see the types of errors, but nothing here indicates what is what. If there is an automatic way to translate that error w/o enumerating over FileError, I don't know. In my case, I just needed this documented.